To call Mexico, you can use either your Ooma Telo-connected home phone or the Ooma Mobile app. Then dial Mexico’s country code, which is 52. If you’re calling a mobile number, dial 1. For landlines, skip to the next step. Next, dial the phone number with area code, which is 10 digits. Occasionally, you may encounter listed numbers that begin with 01, 044 or 045. These are called “trunk codes” and are part of Mexico’s national dialing format (similar to how we in the U.S. sometimes must use “1” when dialing a long distance number). Remove these from the number, keeping in mind that if you’re calling a mobile number, you’ll still have to dial 1 before the number as the instructions above specify. 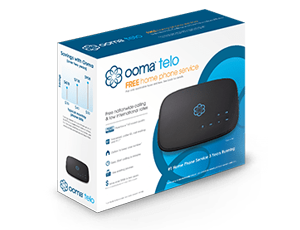 You may think international phone calls are expensive and complicated, but with Ooma Telo, it’s affordable and simple. Using Ooma’s Basic Service, calls to Mexico landline phones are billed at $0.029 per minute. A 10-minute phone call costs just $0.29 under this plan. Calling a mobile phone? Ooma charges $0.039 per minute. Basic Service is prepaid, so charges are deducted from your prepaid balance. With Ooma’s Premier Service, you get unlimited calling privileges to anywhere in Mexico regardless of whether it’s a landline or mobile phone. Premier Service costs $9.99 per month. You’ll also save quite a bit over competitors. For example, MCI charges you $4.00 per month just to get discounted long distance rates, but you still pay another $0.15 per minute for any calls you make. Whether you’re just occasionally calling to Mexico for work or play, or frequently make calls to stay in touch with friends and family south of the border, Ooma’s the right choice for you. We recommend you consider Premier Service if you’re making many calls — not only will you be able to call Mexico as much as you want, but you’ll gain access to low rates in many international locations too. Besides the Basic and Premier plans, Ooma offers two other calling plans for those who’d like unlimited calling to international locations outside of Mexico. In both plans, unlimited calling to both Mexican landline and mobile phones is included.